So as April comes to a close with in a few days we would like to share our garden this year this far. That sounds like a lot or that we must have huge herb gardens. However remember that with herbs a little goes a long ways. So with perennial herbs they get planted in the ground, so that they come back fuller and thicker each year. Herbs that are only annuals, I many times put in a pot, or in some other form of a planter. We have and old pedestal sink as a planter, full of cilantro. 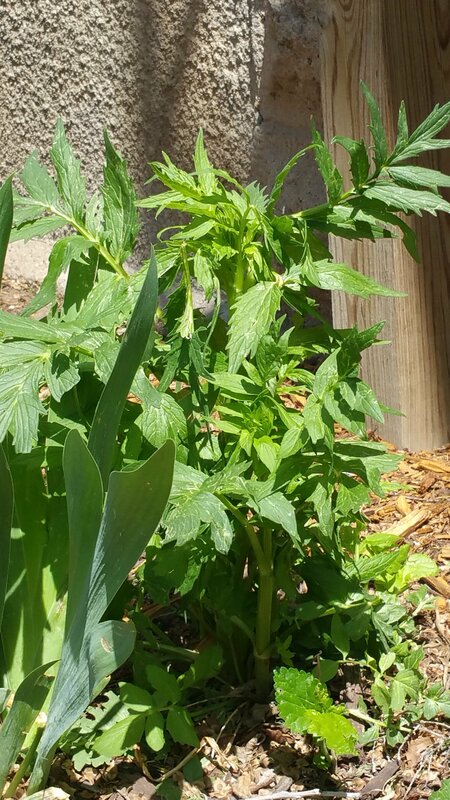 Many herbs are planted in and throughout flower beds and veggies. They don’t take up much extra space. Plus many help repel pests, or are companion plants to other plants. So a huge herb garden is not necessary. Just adding a few herbs to a flower bed can help your health, pocket-book, repel pests, add beauty and aid in self-sufficiency and a “green life-style”. We have one last garden area left to be planted, so we will have a few to add to this list. We have an old house that was lived in by an eccentric art teacher for 30 years. So much of the yard area has been taken up with odd buildings and ponds that we are slowly filling in. So our gardening is a bit different. We find a usable out-of-the-way space, maybe a tucked away corner next to the porch, a small area next to a large tree, or a narrow area next to a fence line. 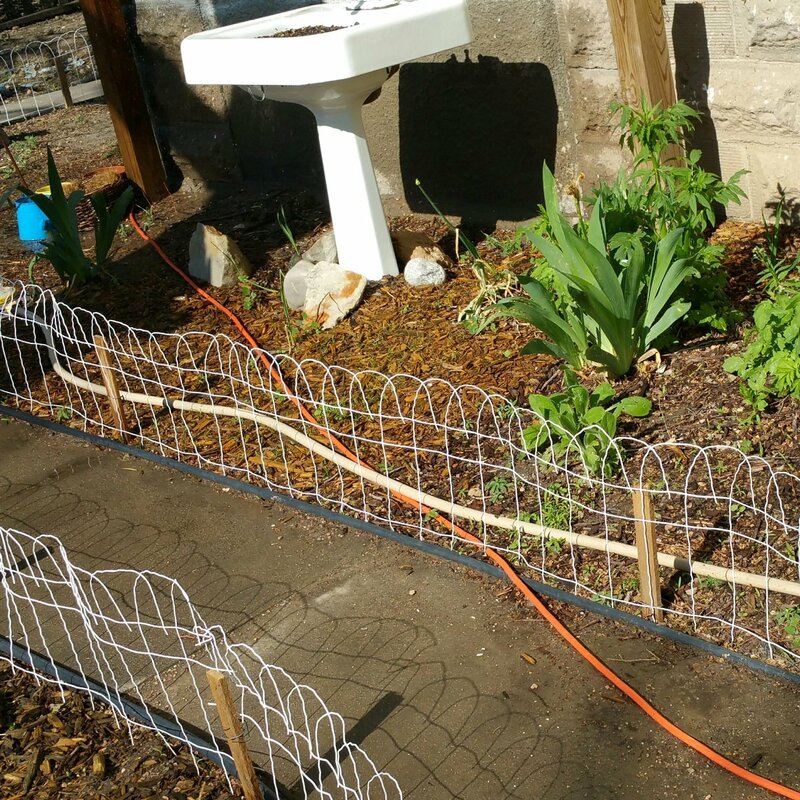 As we finish our yard space the way we want, we will have more usable garden space. Many areas we have only just worked up the dirt (or removed weird metal rings) so it can be a new growing area! However even with our limited space, with a little out-of-the-box thinking a lot of food can still be grown. Rhubarb is only been planted this year so we don’t expect to harvest any. Our garlic and onions have been planted in and through out all other areas where they will not hinder the growth of other plants. Garlic and onions are multi-purpose, they can be eaten, but they also repel pests, protecting plants around them. Garlic also is a great medicinal cure for all sort of ailments. A medicine, a food, a garden protector! I mean how great can it get? Much of our fruit is 1st year planted it wont be producing much. 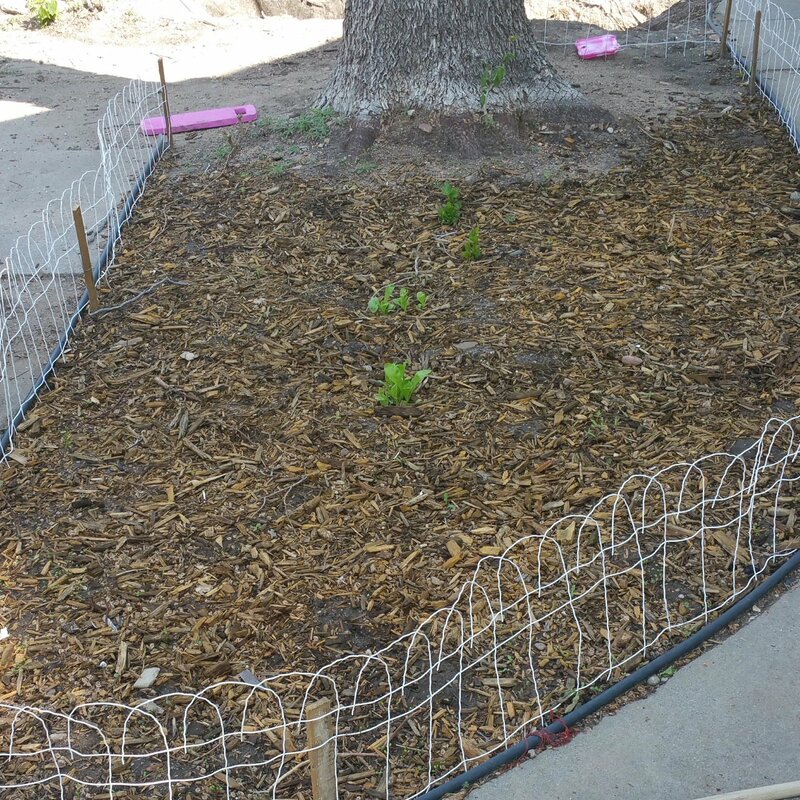 We already had established apricot trees planted in our yard. We have taken several years of proper care and pruning to get the trees to look healthy. Last year was the first time apricots worth eating came off one tree, and this is the first year another tree has produced any at all. So we have high hopes for apricot this year. Our strawberries are returns from last year, we are struggling with what looks like pests eating the leaves. Garlic and onions have been planted around them to help with that. We still have a lot to do. And since its only early spring we don’t have much growth to show. However, every time we get out to plant its a great family experience. 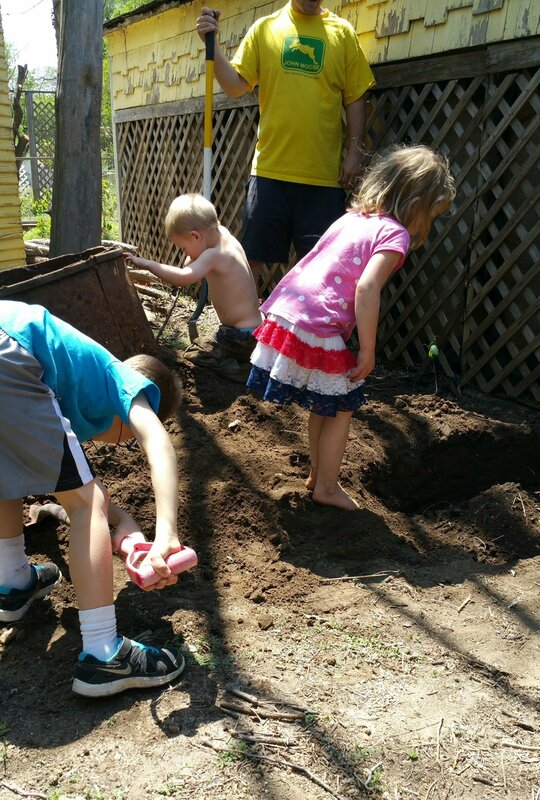 Kids love to get in the dirt, and having the knowledge about how to grow food and where our food comes from is great for a family. We like to believe we have a slow grow method for our family. We spend a lot of quality time doing old school, nature based family living.